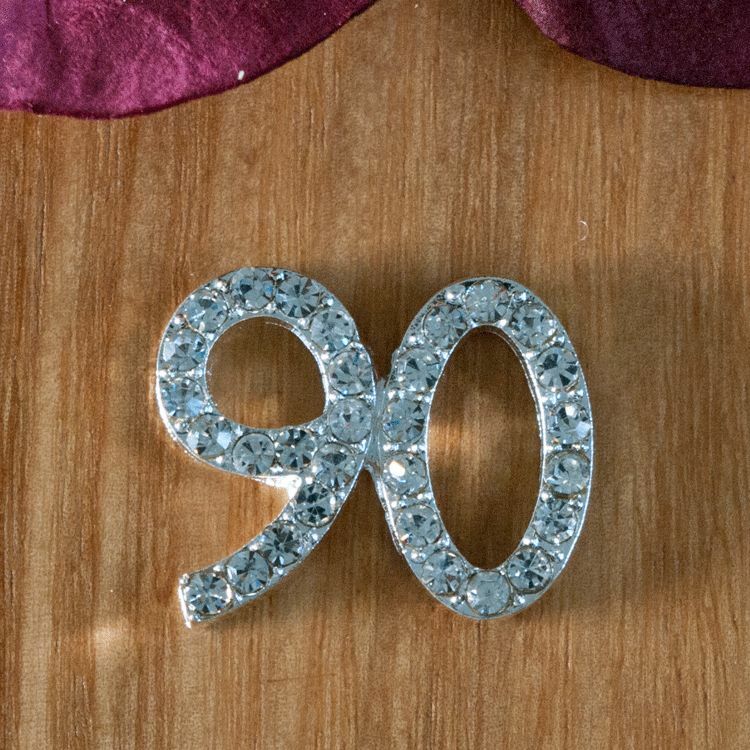 This little diamante 90 is ideal for decorating a 90th birthday cake. The diamante measures 2.3 cm across x 1.8 cm high. Very pretty and sparkly. Hasn't been used yet.